It is no secret that both Amanda and I are extreme Proenza Schouler fan-girls. Every time Jack and Lazaro grace us with a new version of the PS1, we swoon. Sometimes a little bit of pizzazz mixed with a lot of classic is just what I crave, and these two bags from Proenza Schouler’s Holiday collection are calling my name. 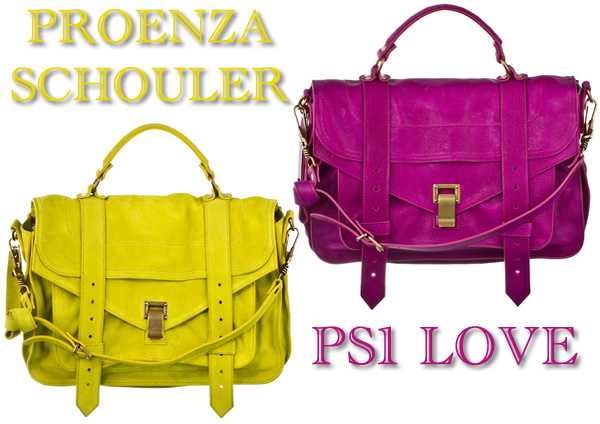 From vibrant neon yellow suede to an eye-catching orchid pink hue, these two Proenza Schouler PS1 bags are precisely what I want this Wednesday. 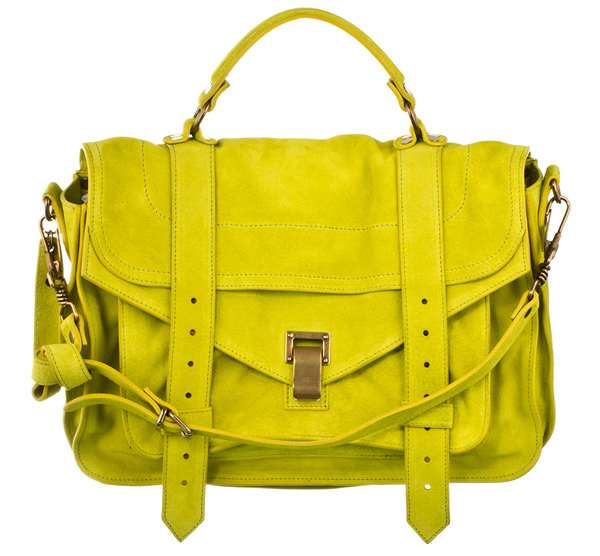 I’m a sucker for bright colors but like many of you,the majority of my bags do not venture into the neon color family. But that doesn’t mean I don’t love neon accessories and I would love to add the perfect attention grabbing colored accessory to my collection. The PS1 is well known by all of us now and that is why this post just needs pictures, so lovers of neon yellow and gorgeous pink can drool. I know I am. 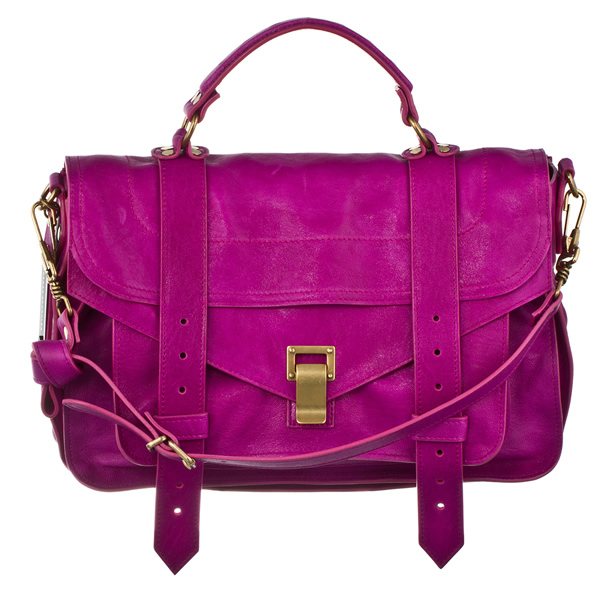 Buy via Proenza Schouler or shop Proenza Schouler via Net-A-Porter online.